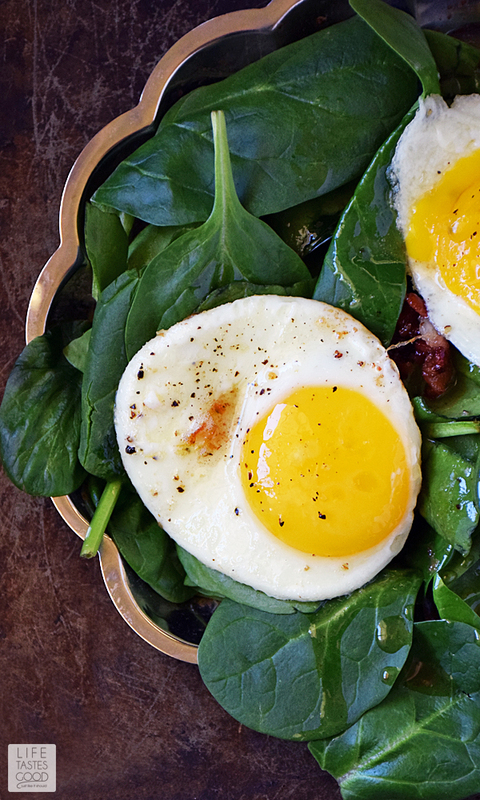 This Low Carb Spinach Breakfast Salad is a warm comforting way to start the day. Drizzled with Hot Bacon Dressing and topped with a perfectly fried egg, this salad tastes great in addition to being high in protein and low in carbs. Did I mention it's quick and easy to make too?! Winner! This week the #SundaySupper Tastemakers are bringing you a huge variety of hearty and satisfying salad recipes perfect for enjoying in the winter while dreaming of summer! 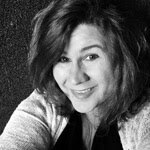 A big thank you goes out to our amazing host, Sue Slusser Lau of A Palatable Pastime, who made this event happen! During the winter season we tend to navigate towards food that is slow cooked, heavier, and, if I'm being honest, a bit drab in color. It's not necessarily a bad thing. I mean who could say no to the melt-in-your-mouth luxury that is my Slow Cooker Red Wine Short Ribs? Not this girl, especially when they are served over garlicky mashed potatoes! Now that is a hearty meal! My mouth is watering just thinking about them! However, the lack of bright, beautiful colors and light refreshing food during the winter months can get, well, a little boring. We eat with all of our senses, so satisfying our visual sense is just as important as satisfying our taste buds or olfactories. The bright colors we are accustomed to in our summer salads can be enjoyed in the winter months too, and Sunday Supper is proving that in a big way today! We have over 50 gorgeous salad recipes from which to choose. Just scroll down past my recipe to find the entire list and have fun perusing through to pin your must-make recipes before this winter is a fading memory! I'm sharing one of my favorite breakfast recipes. I like to start the day with a high protein, low carb meal that allows me to power through my morning without getting hungry or sleepy. This recipe is a Low Carb Spinach Breakfast Salad that I've been eating for years. 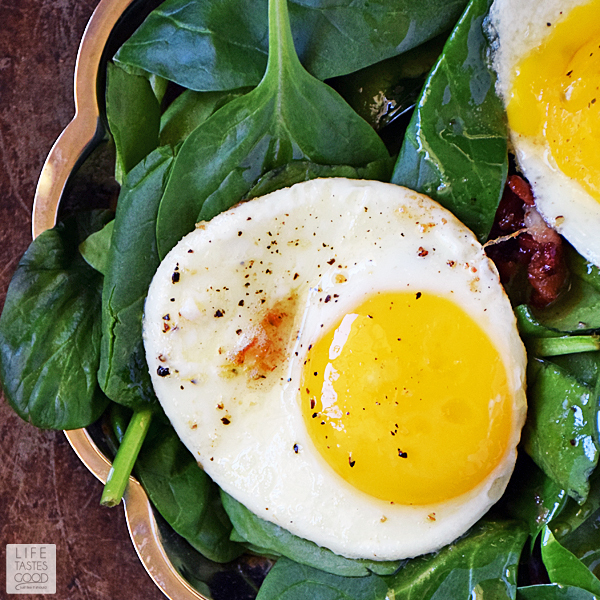 It starts with fresh baby spinach leaves drizzled with a Hot Bacon Dressing and topped with a perfectly fried egg and a sprinkling of shredded cheddar cheese. Oh my, it is so good! Did someone mention Hot Bacon Dressing?! Oh yeah, that's a thing! Have you ever had the pleasure of Hot Bacon Dressing? It is a real treat! There are really no words to describe how good this dressing is. It is the perfect blend of sweet and tangy and baconeeee all mixed up in a hot dressing that, when drizzled on the spinach, wilts it ever so slightly. Just enough so there's still a satisfying crunch. I like that! 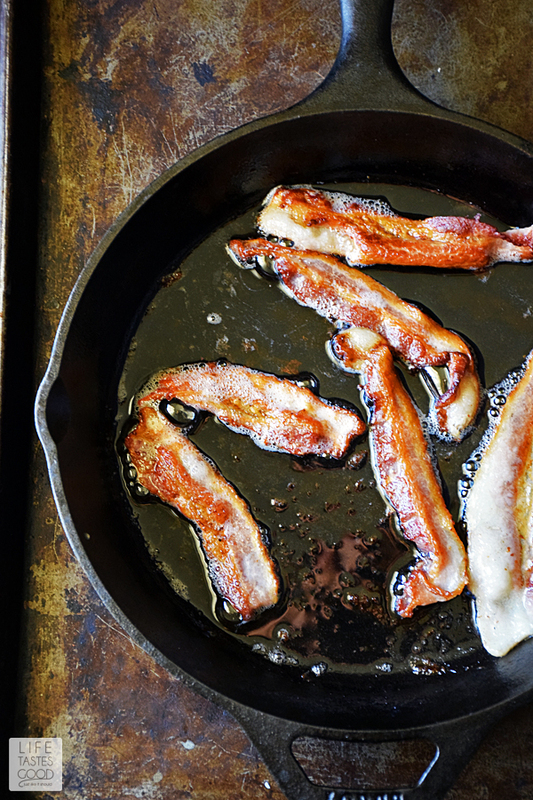 To make the dressing, fry up some bacon in a cast-iron skillet. 3 slices of thick cut bacon cooked to just crispy will do ya. I cut my bacon in half to fit a little easier in the skillet. When cooked to your liking, remove it from the skillet and drain on paper towels to cool and then crumble it. Leave the bacon grease in the skillet. Whisk together 1/2 cup Swerve, 1/2 tablespoon cornstarch, and a 1/4 teaspoon kosher salt. Pour in 1/4 cup white vinegar and 2 tablespoons water and whisk to combine. Pour the Swerve mixture into the skillet with the bacon drippings and heat over medium, whisking until thickened. Give it a taste and adjust the flavor as needed. Add more Swerve if you prefer it sweeter or more vinegar if you like it a little more tangy. Add 1/4 cup of crumbled bacon pieces and stir to combine. Give it a taste again and add salt and pepper to your liking. 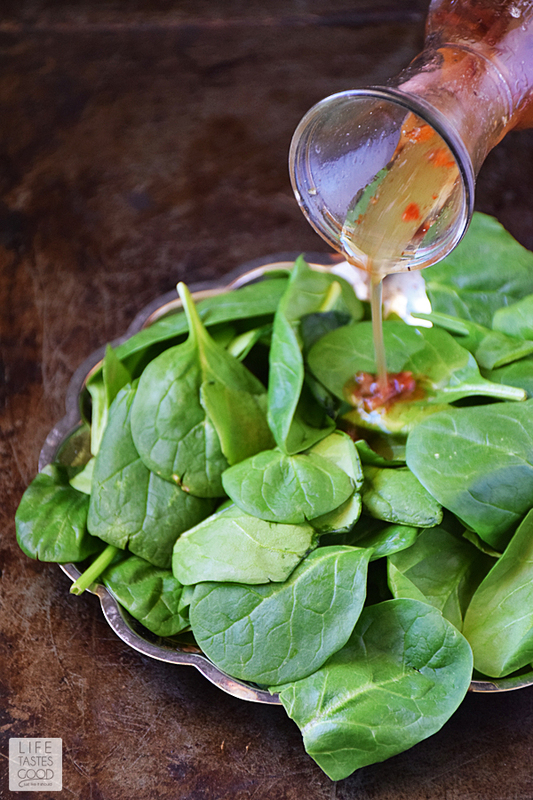 Drizzle over 2 cups of baby spinach leaves and toss to coat and sprinkle with some freshly shredded cheddar cheese. NOTE: Reserve remaining bacon pieces for another use or sprinkle on top for an extra bacony treat <smile>. Now let's fry up an egg or two to top this salad off right. Heat a non-stick skillet over mid-high heat and melt a 1/2 tablespoon of unsalted butter. 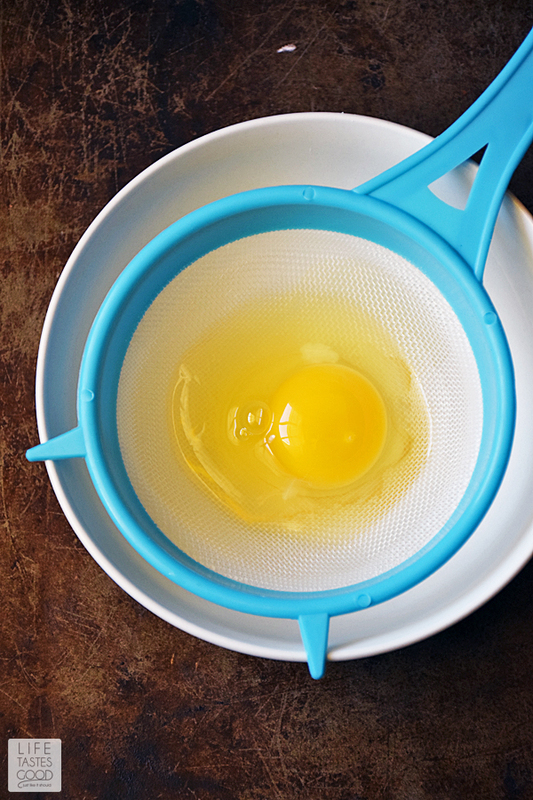 Carefully crack an egg into a fine mesh strainer set over a bowl to drain out the thin egg whites. The very thin egg white always cooks up too crispy to my liking, so I prefer to drain it first before cooking. It results in a better looking and tasting fried egg, in my opinion, and doesn't take but a few extra seconds. Totally worth it! After draining the thin eggs whites, carefully pour the remaining egg into the hot butter in the skillet. Repeat this process for another egg if you like. I prefer 2 eggs on my salad :) Allow to cook for 3-4 minutes until the eggs are cooked how you like. Mine usually takes a good 3 minutes, but the time will vary depending on the heat of your skillet and how cooked you like your eggs. I like mine to still have a soft egg yolk when I cut into it. The drippy egg yolk adds a nice flavor to the overall dish. Finish it up by seasoning the eggs with salt and pepper. 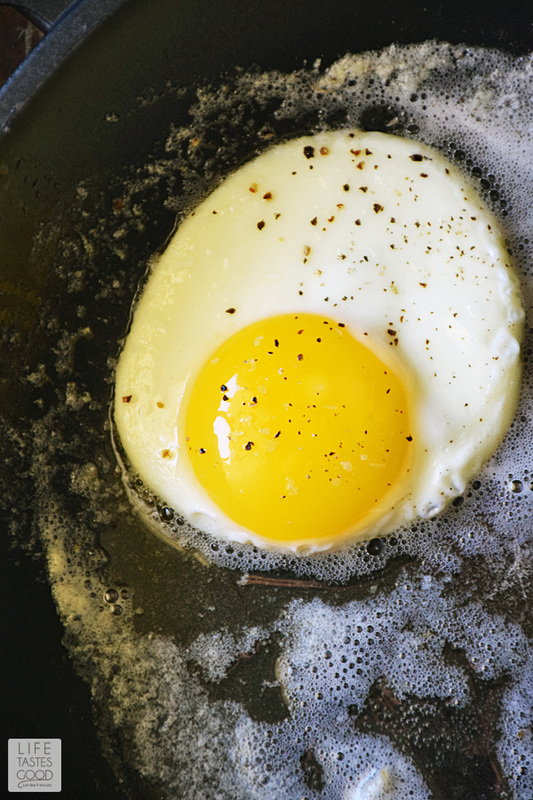 You can fry multiple eggs at the same time in this manner depending on the size of your skillet. When the eggs are done to your liking, place them on top of the salad and drizzle on some more bacon dressing if you like. This breakfast recipe is only 2 carbs. Enjoy! To make the dressing, fry up 3 thick cut slices of bacon in a skillet. I cut my bacon in half to fit a little easier in the skillet. When cooked to your liking, remove it from the skillet and drain on paper towels to cool and then crumble it. Leave the bacon grease in the skillet. Whisk together 1/2 cup Swerve, 1/2 tablespoon cornstarch, and a 1/4 teaspoon kosher salt. Pour in 1/4 cup white vinegar and 2 tablespoons water and whisk to combine. Pour the Swerve mixture into the skillet with the bacon drippings and heat over medium, whisking until thickened. Give it a taste and adjust the flavor as needed. Add more Swerve if you prefer it sweeter or more vinegar if you like it a little more tangy. Add 1/4 cup of crumbled bacon pieces and stir to combine. Give it a taste again and add salt and pepper to your liking. 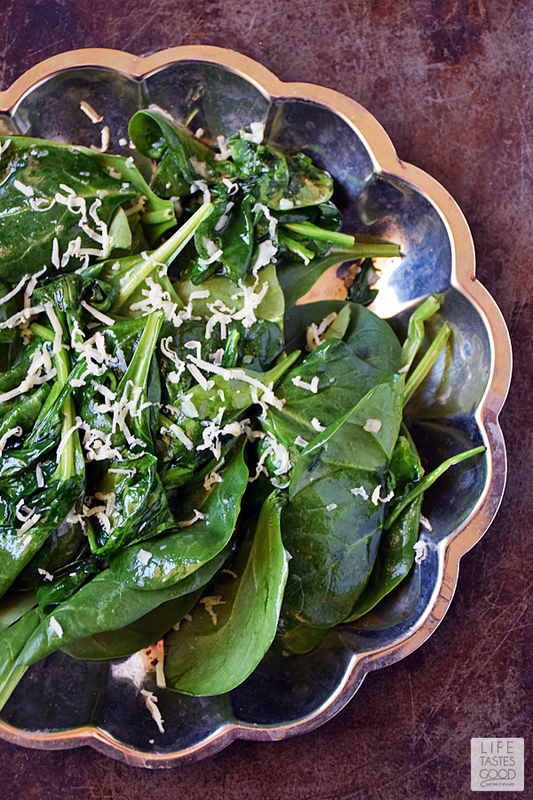 Drizzle over 2 cups of baby spinach leaves and toss to coat and sprinkle with some freshly shredded cheddar cheese. NOTE: Reserve remaining bacon pieces for another use or sprinkle on top for an extra bacony treat . Heat a non-stick skillet over mid-high heat and melt a 1/2 tablespoon of unsalted butter. Carefully crack an egg into a fine mesh strainer set over a bowl to drain out the thin egg whites. The very thin egg white always cook up too crispy to my liking, so I prefer to drain it first before cooking. It results in a better looking and tasting fried egg, in my opinion, and doesn't take but a few extra seconds. Totally worth it! Carefully pour the remaining egg into the hot butter in the skillet. Allow to cook for 3-4 minutes until the egg is cooked how you like it. Mine usually takes a good 3 minutes, but the time will vary depending on the heat of your skillet and how cooked you like it. I like mine to still have a soft egg yolk when I cut into it. The drippy egg yolk adds a nice flavor to the overall dish. Finish it up by seasoning the egg with salt and pepper. You can fry multiple eggs at the same time in this manner depending on the size of your skillet. When the eggs are done to your liking, place them on top of the salad and drizzle on some more bacon dressing if you like. Enjoy! ohh this is something I love to have for breakfast! That makes 2 of us, Deanna :) Thanks! What a beautiful breakfast salad Marion, love the bacon dressing. I've never thought of a breakfast salad, but looking at yours, I'm all for it! Beautifully done! What a fabulous idea! I must try this because of course everything is better with an egg on top! I was wondering how you got the egg to look so perfect! Great tip Marion! Thanks, Sarah! I actually started straining my eggs after getting a tip from a conference to make your eggs look better in photos, but I found I just like them better without the thin part of the white that just gets crunchy and undesirable (to me anyway). Nice take on a spinach salad! That is a most awesome egg tip! 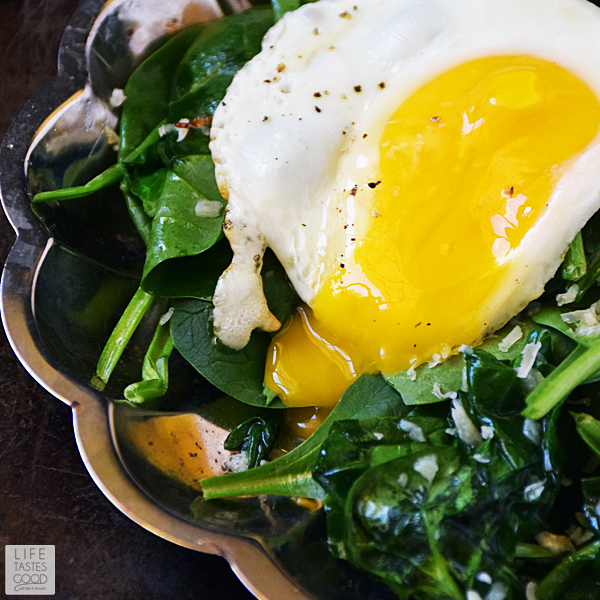 I love this idea of salad for breakfast and I love spinach with my eggs so it is perfect. I have never seen this technique of draining the runny white from the eggs. Astounding. I love this! Eggs are wonderful on salads and I could happily eat this for breakfast lunch or dinner. Great variation on a lyonnaise salad!